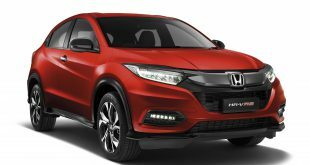 Honda Thailand has launched the all-new Honda HR-V, a premium sport crossover with an integrated sport coupe style for its exterior design with distinctive character lines, LED Daytime Running Lights, and a Panoramic Sunroof. Its luxurious interior features a full range of equipment including a Double Layer console and a spacious passenger cabin designed for multi-utility functionality. The all-new Honda HR-V is powered by a 1.8-liter SOHC, 4-cylinder, 16-valve i-VTEC engine that provides 141 horsepower plus a new continuously variable transmission (CVT) developed under Honda’s “Earth Dreams Technology” to enhance both driving performance and fuel economy. The engine is compatible with E85 fuel. Advanced safety technologies such as an Electric Parking Brake and Automatic Brake Hold offer safety and comfort for all driving conditions. The all-new Honda HR-V, under the name Honda Vezel, made its world debut in Japan in 2013. It was well accepted by Honda’s Japanese customers, with over 100,000 units sold within the first year. 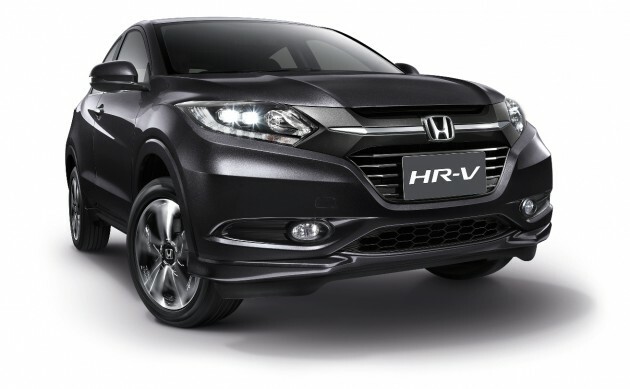 The all-new Honda HR-V was then launched in China and the third market to launch it globally is Thailand, which is also the first country to manufacture and sell this model in the ASEAN region. 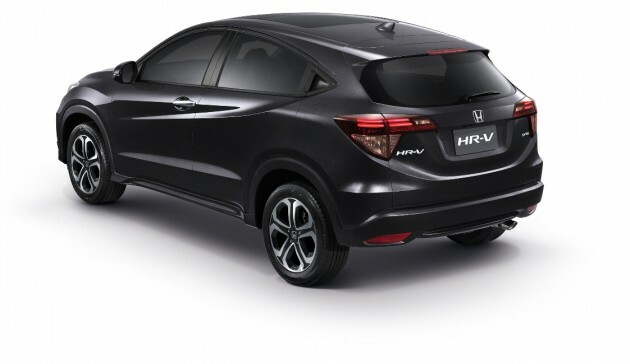 The all-new Honda HR-V was developed based on the fundamentals of a Sport Utility Vehicle (SUV), adding the sportiness of a coupe and integrating the functionality of a minivan. The exterior design of the all-new Honda HR-V, elegant in all dimensions, is formed by sharp character lines that blend together the sleek cabin and the dynamic lower body. Together with the character lines and rear door handles that are integrated into the side windows, the design reflects the sportiness of a two-door coupe. The front face was designed with a “Solid Wing Face” concept and strengthens the tough look and stylish front grille by using a black colour. It’s complemented by a Panoramic Sunroof, LED Daytime Running Lights and LED Tube taillights, which add a sophisticated and sporty look. The interior design provides a wide and clear space over the console, combined with a Double Layer console that gives the feeling of a sporty image. The spacious passenger cabin comes with a full range of modern equipment, including a 7-inch Advanced Touch Screen audio system with Siri voice command (for iPhone 4S and above); Automatic Air-conditioning System with touch screen control panel; 7-color adjustable ambient meter with LCD and Multi Information Display; two USB ports, HDMI and a power outlet. It also features a Multifunction Steering Wheel, One-Push Ignition System, and Honda Smart Key System. Maximum storage is provided by a multi-utility seat that has three adjustable modes – Utility Mode, Tall Mode, and Long Mode – to meet the demands of all lifestyles and uses. The all-new Honda HR-V is powered by a 1.8-liter SOHC, 4-cylinder, 16-valve i-VTEC engine that delivers 141 horsepower at 6,500 rpm and maximum torque of 172 Newton-meters at 4,300 rpm, plus a new Continuously Variable Transmission (CVT) developed under Honda’s “Earth Dreams Technology” to enhance both driving performance and fuel economy. The engine is compatible with E85 fuel. The all-new Honda HR-V is more fun to drive with a 7-speed Paddle Shift and the Cruise Control System provides more comfortable driving. 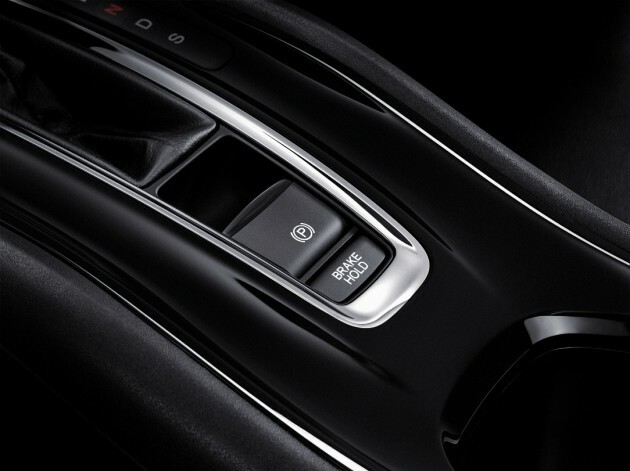 The full range of premium advanced safety features include an Electric Parking Brake that is easily activated by slightly pulling up the switch on the center console; Automatic Brake Hold that holds the brake automatically so the driver doesn’t have to press the brake pedal all the time when stopped; Anti-Lock Braking System (ABS); Electronic Brake Distribution (EBD); Vehicle Stability Assist (VSA); Hill Start Assist (HSA); Emergency Stop Signal (ESS); plus a 3-angle Rearview camera and six airbags: Driver i-SRS airbag, Front Passenger SRS airbag, i-Side airbags, and Side Curtain Airbags for more confidence in all journeys. Regarding the marketing communications for the all-new Honda HR-V, Mr. Sompop Patipanthada, Marketing General Manager of Honda Automobile (Thailand) Co., Ltd., unveiled that, “The marketing communications concept for the all-new Honda HR-V is the Premium X Sport Crossover and conveys a message of premium and sporty integration. We will present the uniqueness of this car in all dimensions, including the perfect meeting of the sporty exterior design and spacious interior, maximum comfort, premium functions, and high performance that provides the ultimate sporty driving experience backed by advanced safety technology. The new Honda HR-V is available in three variants, which are the S at 890,000 Baht, the E at 975,000 Baht, and the EL at 1,045,000 Baht. It comes in five colours – Crystal Black (Pearl), White Orchid (Pearl), Alabaster Silver (Metallic), with two new colours; Ruse Black (Metallic) and Morpho Blue (Pearl). On the occasion of Honda’s 50th anniversary in Thailand, Honda has introduced a special campaign called “Honda’s 50th Anniversary offers 50-million baht happiness” to express our gratitude to Thai customers for their continuous trust and tremendous support. Customers who purchase any Honda model from today until 31 December, 2014, will get a chance to win one of many prizes every month such as a 1-kilogram gold bar; Honda Mobilio; home theatre and television sets; Honda motorcycles; and iPhone 6 Plus smart phones. In addition, they will also get a chance to win a special prize of a “Family Trip to Japan” for four members of the family. All lucky draw prizes are worth a total value of more than 50 million baht.